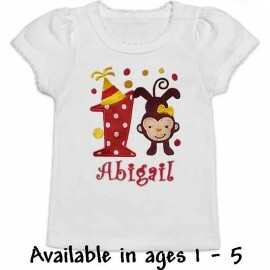 What's cuter than polka dots & monkeys? 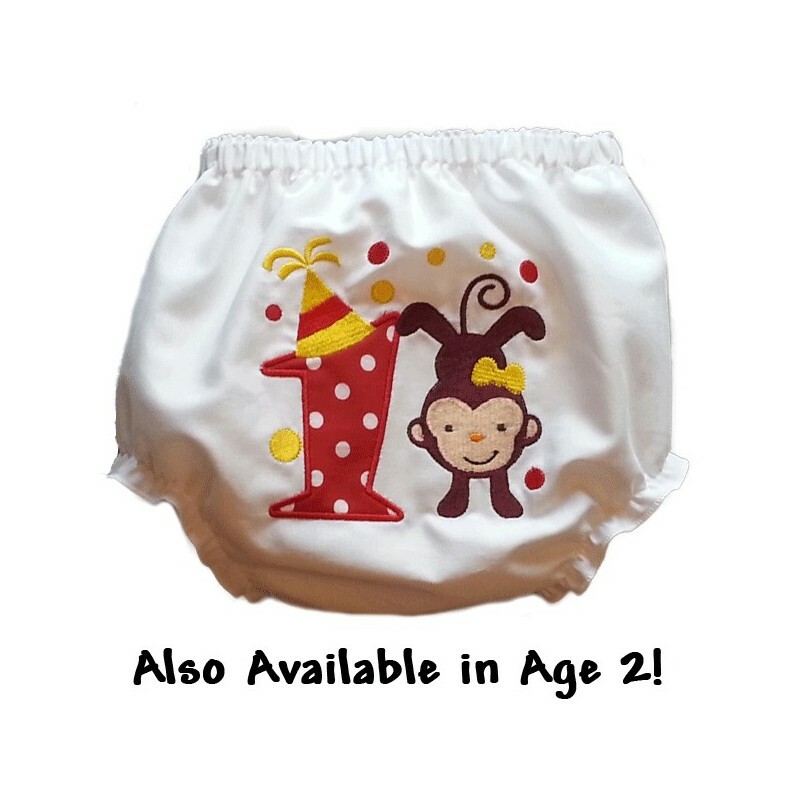 Polka dot monkey bloomers of course! Also available in age 2. Birthday clothes add a special touch to any party. 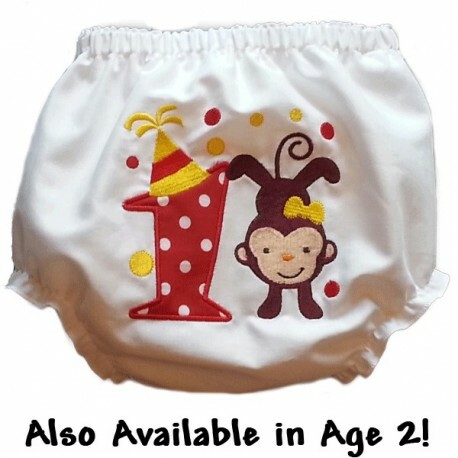 These monkey bloomers are so cute, your little one will want to wear them all year! 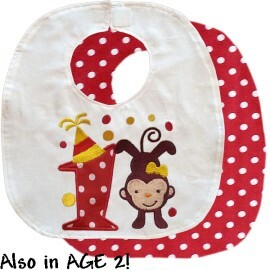 Features: Red polka dot applique in your choice of #1 or #2. 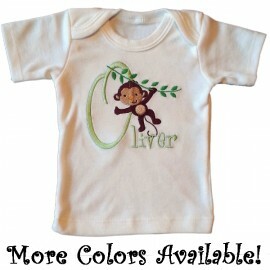 Adorable embroidered monkey. Comfort elastic. 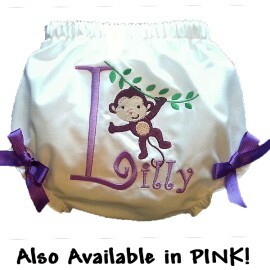 Made in USA: Each Luckys Skunks baby bloomer is lovingly created by seamstresses with years of experience. 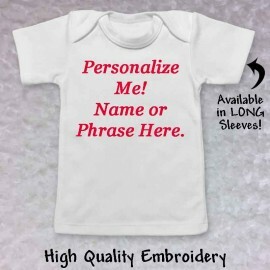 This translates to high quality clothing that you can feel good about dressing your little one in.